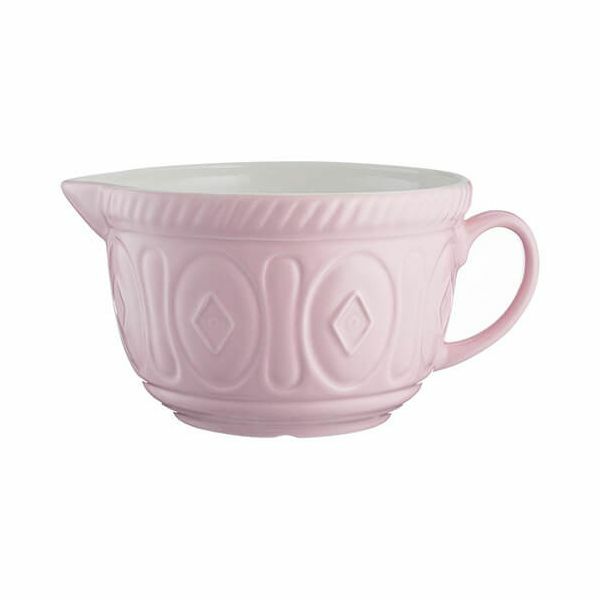 This colourful Mason Cash Powder Pink Batter bowl is styled to coordinate with the Mason Cash Mixing Bowls and other items in this collection. Made from strong and durable earthenware suitable for everyday baking and cooking tasks this Batter Bowl features a large handle for a firm and comfortable grip. 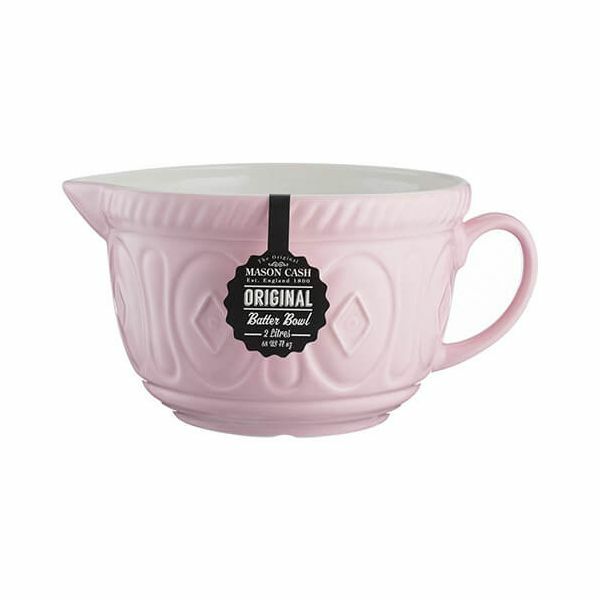 This Powder Pink Batter Bowl is a great addition to your kitchen and is styled like a traditional Batter Bowl with bright modern colours to suit any kitchen. Microwave and dishwasher safe for everyday tasks.